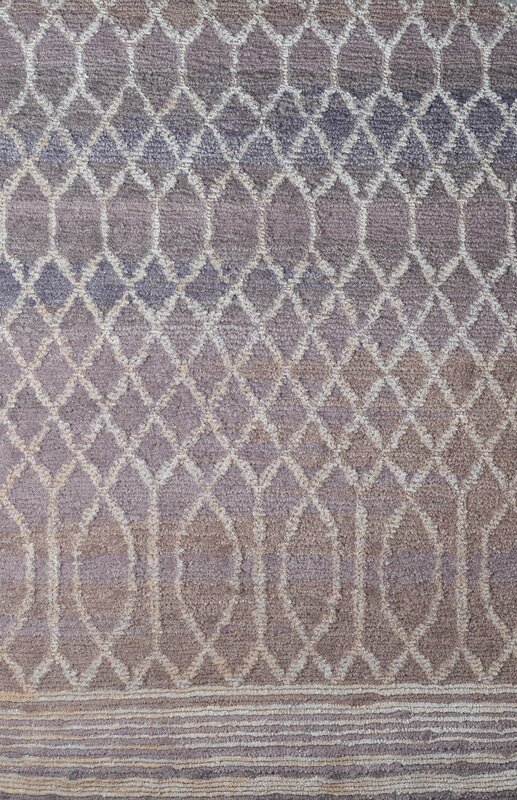 The Equilibrium collection is an exploration of eight hand-knotted designs inspired by ordinary moments that invite us to celebrate the beauty in simplicity. Harmony in our surroundings constantly cycles between steadiness and instability. These observations are depicted using lines that create tension — swing, pull, stretch and twirl — in a balancing act on the surface of the carpets. This collection utilizes new constructions in our lowest knot counts ever introduced — 60 and 80 knots. Paired with these course qualities is the innovative use of irregular spun Tibetan wool. Matka silk and linen are skillfully added to create luster. The colour palette is joyful yet grounded in nature — mandarin orange, ochre, peach, violet, grass green, turquoise and midnight blue.